There is a lot more than textiles to experience at Coimbatore, Tamilnadu’s second largest city, a huge cotton production centre & textile hub. The city is aptly known by the sobriquet as Manchester of South India. Fun Fact – Coimbatore supplies about two thirds of India’s requirement of motors and pumps. Historically, Coimbatore was the capital of Kongunaadu- ruled by the Royal Cheran dynasty. Coimbatore served as an intermediate business center between Tamilnadu & the western coast. The city witnessed amazing progress under the Cholas, Vijayanagar Empire, and the state of Mysore under the aegis of Tipu Sultan, to finally acceding to the British Empire. This city is treated as the gateway to famous holiday destinations like Ooty or Kerala. However, we at Indian Travellers help you discover this magnificent city to its’ fullest. But before that, another fun fact, Coimbatore is also known as “Kovai”. Now we guess you would have never known this fact. Surrounded by the tapering end of The Western Ghats, and having its’ feet washed by the Noyyal river, Coimbatore offers a decent amalgamation of historic sites, religious architecture, scenic beauty, rare view of flora and fauna, and a dash of indulging theme parks, malls and hang-out points. What follows is a snapshot of the amazing city. Go out and experience Coimbatore. And when you come back with pleasant memories, do not forget to write your reviews on Indian travellers. The hill-top temple built some 1200 years ago with typical Dravidian architecture and a magnificent gopuram is dedicated to Lord Karthikeya or Skanda, the elder son of Lord Shiva. A day time visit will help you observe variety of herbs and medicinal plants on the hill side. Gain some advantage. Buses and private vehicles are available from all corners of the city. This Ganesha temple was constructed around 1500 AD. The smell of vibhuthi, the typical South Indian Poojary, the ambience is something that will keep you spell bounded. Built by the illustrious Raja Raja Chola, this temple has survived the ages to tell of the grandeur of the dynasty that dominated the Indian Ocean in the middle ages. Dedicated to Lord Shiva, the location of the temple is believed to be the spot where the Lord played the ‘Tandava’ dance. The temple premises have 2 sacred trees- Irava Panai (Deathless Palm) & Tamarind called Pirava Puli (The Unborn Tamarind). The golden hall, (Kanaka Sabhai) has a gold plated statue of Lord Nataraja. Architectural carvings of the Gopuram and sculpture are worth a visit. The temple organizes Bharatanatyam Week, every year where dance schools from in and around Coimbatore performs. The temple was consecrated by Sadguru Jaggi Vasudev and is dedicated to meditation. People from all faith can enter the temple and meditate. Dhyanalinga is one of the largest lingas about 14 feet high. The architecture is devoid of metals and is carved out of mud, brick, alum, lime and herb additives- consecrated to meet the spiritual needs of the visitors. Located at foot of Vellingiri hills, about 30 Km from the Coimbatore city, the temple is well connected by local transport. Silent valley National Park is located in the state of Kerala, but the nearest city to the reserve is Coimbatore (About 60 Kms). The region is home to evergreen rainy forests in India. It is part of Western Ghats Heritage site and along with Karimpuzha National park (proposed) on its’ north and Mukurthi National Park on north-east, Silent Valley National park is the core of the Nilgiri International Biosphere reserve. The jungles are home to largest population of Lion tailed Macaques. Rare birds, animals and flora of the undisturbed jungles must be tempting enough for you to pack your bags and experience the nature at Silent valley. Pollachi district under Coimbatore is part of the Indira Gandhi Wildlife sanctuary and National Park. Topslip is a charming & scenic spot located in the North-eastern parts of the park, is a famous point, frequented by nature enthusiasts. The region engulfed by Anaimalai hills is being pitched to acquire the World Heritage status from UNESCO as it is the tapering end of Western Ghats, which itself is a World Heritage site. The place is home to 6 major tribal communities. The endangered Bengal Tiger, Indian Elephant, Asiatic Wild dog, Nilgiri Tahr, Lion tailed Macaque, brown mongoose, Malabar spiny dormouse, Nilgiri Langur, rusty spotted cats, Sambar Deer, Sloth bear, smooth coated otter, Indian Giant squirrel and many other rare species of fauna along with variety of incumbent and migratory birds like Spot Billed Pelican, Painted Stork, Open Bill Stork, Ibis, can be spotted in the forests. Plants and trees with great medicinal values are found in the jungles. The sanctuary is governed by Coimbatore forest circle headed by conservator of forests, Coimbatore. 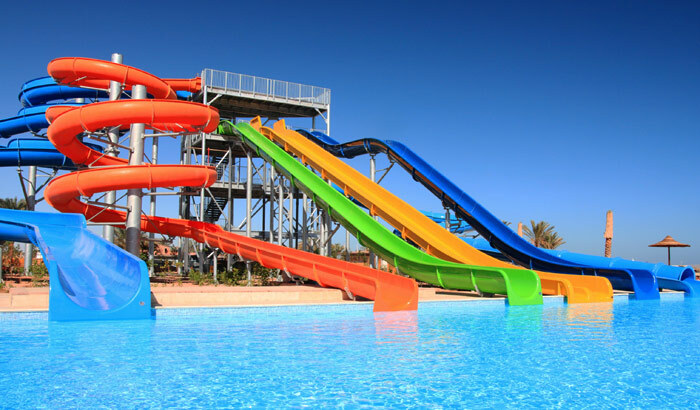 Top slip point houses cottages and dormitories for staying overnight. Extended facilities like safari van is available upon request. The place is ideal for trekking and adventure sports. 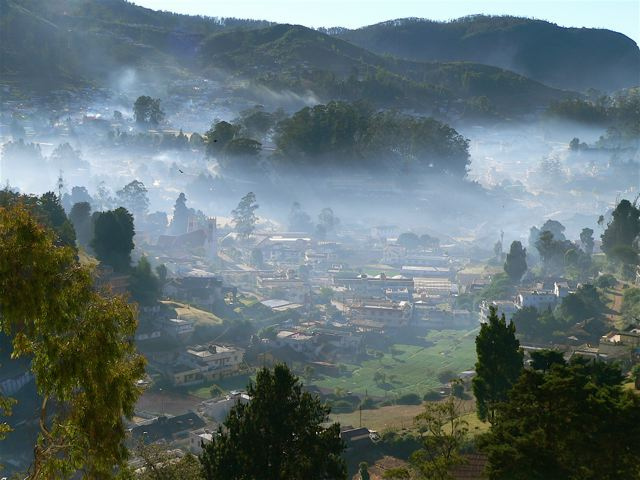 The amazing city of Ooty is accessed easily from Coimbatore. Known by the sobriquet- The Queen of hill stations, preserved by the Nilgiri hills, Ooty is a complete package in itself. Nilgiri Mountain train, Dodabetta, Ooty Lake, Tamizagham Palace….. The list is endless. Monkey falls are located in the Anaimalai hills range. 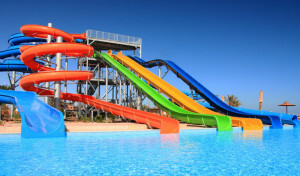 The average height of falls is about 35 meters. The Monkey falls are situated about 35 Kms from Pollachi on the Pollachi Valparai road on the foothills of Valparai. The overall distance from Coimbatore is about 65 Kms. The visitors must seek prior permission from Tamilnadu forest department headquarters at Pollachi at least a fortnight before visit. About 6 kms from Monkey falls lay Aaliyar Dam, is also a popular picnic spot. Aaliyar Dam houses gardens, aquarium & a boat house park. Treetop houses provide facility for overnight stay. The falls are on the western ghats near Narasipuram, about 35 Kms from the Coimbatore city. Interestingly, the falls are named after a movie “Vaithehi Kathirunthal”, directed by R. Sundararajan as the movie featured the falls. Please seek proper local guidance to the place as it is not well connected to public transport and the trip will require walking a good chunk of distance. Located about 50 Km from Coimbatore city, the dam was built by the British administration in 1927. The location offers scenic beauty and is a great picnic spot. Waterfalls over the Siruvani River give your eyes a pleasant treat. Interestingly, it is reviewed that the water here is very tasty and in purest of the forms, that visitors carry a bottle to carry it home!!! 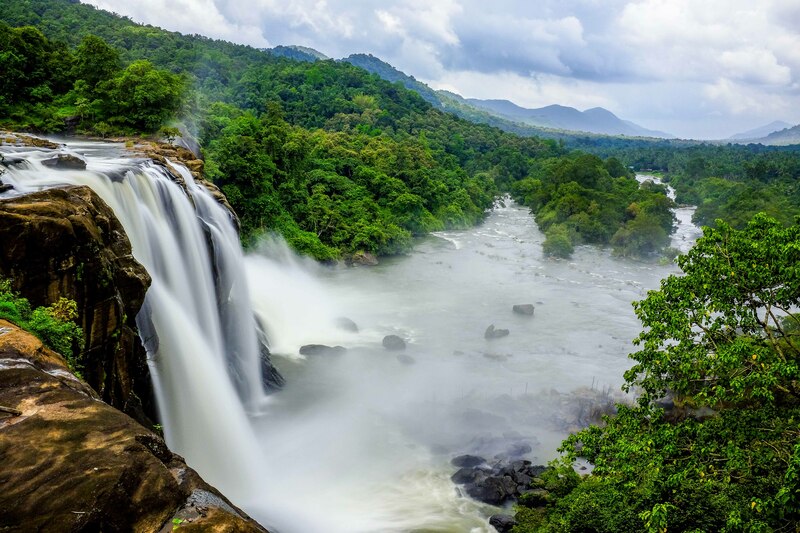 Also known as ‘Punnangai Mannan Falls’, Athirampalli Falls have featured in numerous tollywood films and advertisements. These falls are located about 35 Kms from Sholaiyur, Pollachi. The basin forms a nice gorge to have ayurvedic bath. The place receives second largest quantity of rainfall in India. The falls flow throughout the year. A hanging bridge built across the falls provides a thrill and excitement that is unmatched and sought after. Dense foliage and green cover around the falls makes the place a package to cherish and savour. Gaas forest museum is located at Forest department training centre, at Corley Brown road- between Tadagam & Mettupalayam link road. Established by a Forest conservator, Mr. Horace Arichibald Gaas in the year 1902, this museum showcases uncommon & rare species of butterflies, birds and animals. Models and sculptures of cultivation methods, tribal equipments, and model houses are some of the attractions. Gopalaswamy Doraiswamy Naidu was nicknamed ‘Edison of India’ for his inventions. The museum houses collection of his inventions and gadgets, a must visit for science enthusiasts. Also on display is the history of industrialization in Coimbatore. 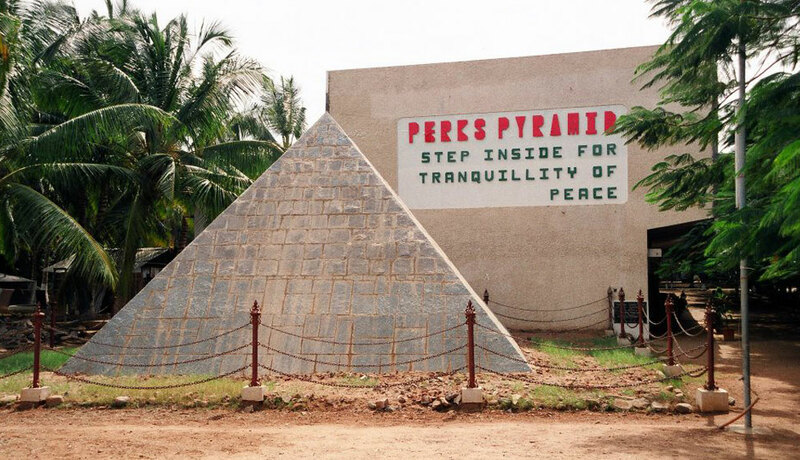 Perks Pyramid was raised by Shri Rama Ranganathan in 1992. The place is spiritually enchanting and houses facility to meditate and seek peace of mind. The architecture soothes the senses and helps one discover the inner self. 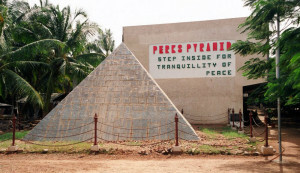 It is located within the premises of Perks School. Established in the year 1925, Botanical Garden located near Marudumalai is maintained by Tamilnadu Agricultural University. The garden has vast tree, flowering plants (more than 900 varieties) and herbs collection. Connoisseurs of organic preparations and products can relish the sales points built inside the complex. The overall calm and serene atmosphere soothes your mind and refreshes your senses. Timings: 08:00- 11:15 Hours, 14:00-16:15 Hours. Kari Motor Speedway located in Orratukuppai, Chettipalayam is India’s second most modern racing track. It was inaugurated in the year 2003 in the memory of Former Formula Race driver S. Karivardha. The track length is 3.2 Km. Coimbatore Golf Club at Chettipalayam is an 18 hole Golf Course, a popular venue for Golf Championships and coaching. Margazhi month of Tamil calendar- falling in the Gregorian month of December-January is a month of celebration in whole of Tamilnadu, and more of it in Coimbatore. The city conducts its’ own music festival every year. Amazing South Indian cuisine- typical regional Sambhar & rice, Biryani with a tinge of regional spices, active streets with spicy street foods all are must have experiences in Coimbatore. Coimbatore domestic airport is well connected to all metros of India and many tier I & tier II cities. International airport runs flights from Sharjah and Singapore. Coimbatore railway junction is networked well with major Indian cities. Roadways make the visit even more exciting. NH-47 joining Salem to Kanyakumari (via Palakkad, Kochi, Kollam & Trivandrum); NH- 67 connecting Nagapattinam to Gundlupet (via Thanjavur, Trichy, Karur, Udagamandalam) & NH-209 linking Dindigul to Bengalooru (via Palani, Pollachi, Chamrajnagar) are road trails that lead to Coimbatore. Bus, tour operated vehicles and private taxi services are available at ease. Coimbatore houses good hotels ranging from economic to the high end ones.